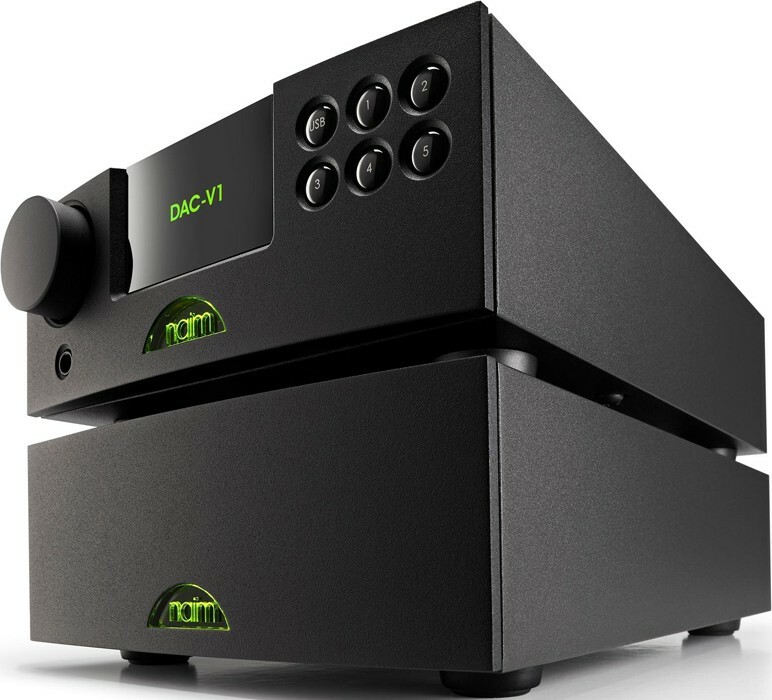 Naim DAC-V1 is a USB DAC (asynchronous), pre amplifier and headphone amplifier in one, a perfect partner for high quality listening from your Mac or PC, with the addition of multiple digital S/PDIF inputs for other digital sources. An excellent sounding dedicated headphone amplifier or indeed partner it with a Naim power amplifier for a desktop hi-fi separates setup and high-resolution audio hub. Link the DAC-V1 to your PC or Mac through an ordinary A to B USB cable and the eminence of your music will be distinct not by the confines of the computer hardware, but by the quality of the data itself. And with DAC-V1 that can be incredibly high, up to 24bit/384kHz resolution. 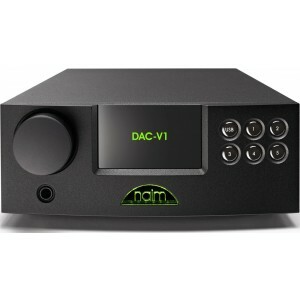 Though the DAC-V1 is faultlessly suitable for being located on a desk close to a computer it is similarly extremely adaptable. It can integrate seamlessly into a traditional hi-fi system or be used with any two-channel digital audio source such as a games console, satellite box or any other device by a digital out through one of five S/PDIF digital connections. 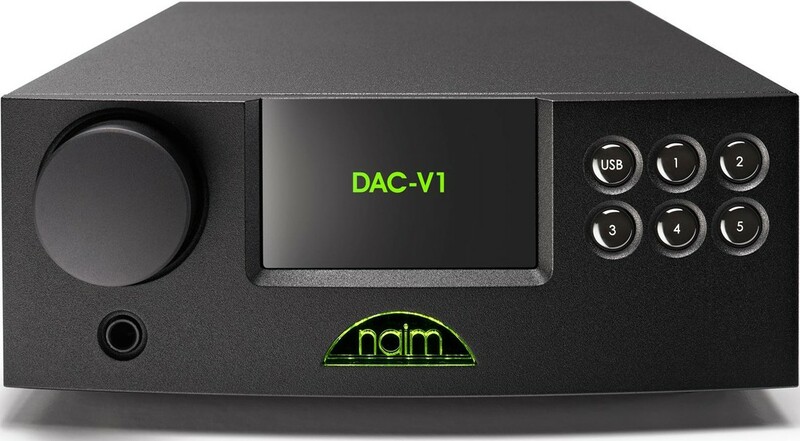 The DAC-V1 can also be combined with the Naim UnitiServe hard disk music server and its matching power amplifier, the NAP 100, to create a compact high-end music system. - Headphones – Listen straight over your headsets from the anterior DAC V1 panel. Digital audio isn’t only about the information – 0s and 1s – and making sure that each sample is correctly transformed into a matching output voltage. Similarly, vital to attaining the uppermost faithfulness is guaranteeing that each consecutive example is replicated at a specific time interlude from those about it. If there is variation in the time interval, it causes an effect known as jitter which means the outbound waveform will distort. To stop this, the principal clock that pedals the procedure should, preferably, be located exactly next to the DAC circuitry, not isolated from it. Asynchronous mode USB resolves this as it enables data to be taken from the source as neccessary, while in other modes the information is pushed down the interface controlled by the remote substandard and detached clock in the processer. 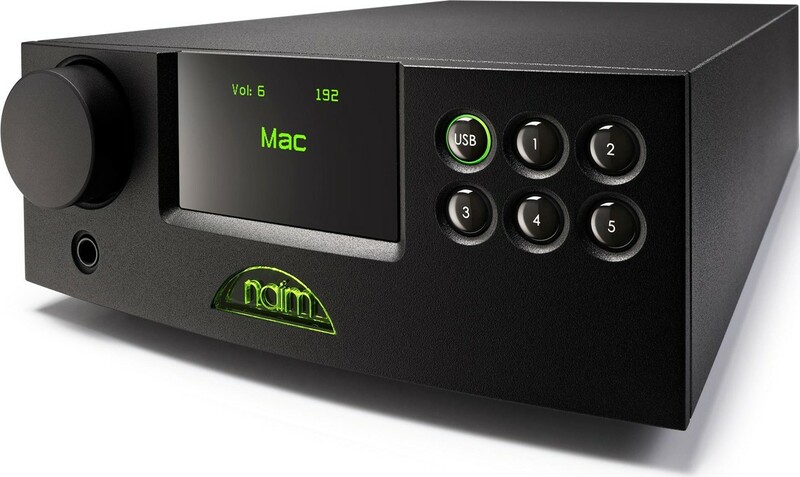 Naim has an extended custom of consuming separate transistor, single ended Class-A amps for all its pre-amplifier phases. This has now been extended to the headphone amplifier of the DAC-V1. The headphone amplifier cleverly uses the pre-amp output amplifier for headphone drive. The instant headphones are driven in, the output current drive is mechanically curved up five times to stretch dynamic energy for all headphone impedances. The amplifier is driven by a high voltage power source and therefore comprises the ability to power high impedance headphones with spacious and dynamic sound. The consequence is the acoustic stages are reserved as modest and clean as possible for both standard and headset modes. Single ended Class-A has been long recognised for its innate sound quality and presents zero crossover distortion. Its limitation is that it is incompetent, for headphone drive this is not significant so all the welfares can be subjugated. Many current headphone amplifiers are rated Class-AB, where the output stage is split in two halves; one which is pushing while the other is pulling. The two encounter in the middle and yield non-consonant distortion or distortions that do not happen innately in music.